Whether you are a Strike Force or a Gutter Gang, you won’t want to miss the 24th Annual Bob Warner Pin Crushing Classic! A fun filled day of bowling, prizes and community spirit, co-chaired by Assemblyman Clifford Crouch and Assemblyman Chris Friend. This year’s event will be held on Saturday, April 6th, 2019 at Ideal Lanes. This tournament is great way for companies to promote team building or family fun time, as well as the opportunity to become this year’s reigning champion! The tournament is officially SOLD OUT. Check out ACHIEVE's 2018 Bob Warner Pin Crushing Classic! Thank you to everyone that supported The 2019 Bob Warner Pin Crushing Classic! Overall, it was a wonderful event! More than 200 guests attended the 2018 bowling tournament, which was held on Saturday, April 21, 2018 at Ideal Bowling Center in Endicott. 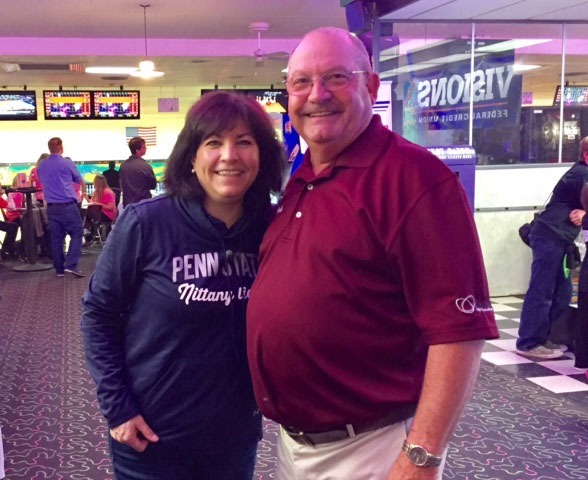 Bowlers were joined by Baxter the Bearcat and various Star Wars characters as Bob Warner welcomed guests to the event featuring great bowling, and raffle drawings including a 40" TV, Play Station 4 and a Grill donated by Warner's Gas Service. It was a great afternoon and helped to not only raise money, but to raise agency visibility and make people more aware of the work we do. On behalf of the ACHIEVE Board of Directors, employees, and individuals served by the organization, we would like to thank those that sponsored and attended ACHIEVE's Bob Warner Pin Crushing Classic.